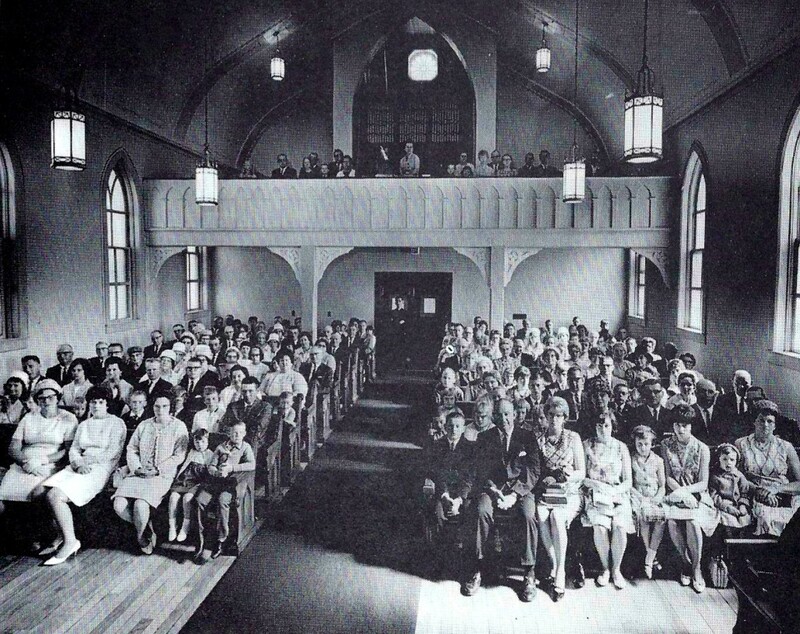 The ninetieth anniversary offering in 1957 was designated for the North Wisconsin District Church Extension Fund. Elders were delegated to welcome visitors as worship. Every family was sent the Portals of Prayer for devotional use. In 1959, German services were discontinued. A new constitution was adopted in 1960. Children were offered the opportunity of attending Vacation Bible School. Pastor Wians was called to eternity on March 21, 1961 and awaits the resurrection with many other dear ones resting in our church yard. Rev. D. Schultz preached the funeral sermon on 2 Timothy 4:6-8 with District President Loyd Goetz, Rev. C.P. Ehrfurth and Rev. H. H. Harthun participating in the service. There followed a vacancy of twenty-five months when we were shepherded by Pastors Ehrfurth, Schultz, and C. Baumgartel. To the glory of God and our own enrichment an adult Bible class was begun and junior and senior choirs re-organized. The church was redecorated and the parsonage was remodeled. Twenty-five months and twenty calls later, Rev. E. R. Engelking was installed April 21, 1963. 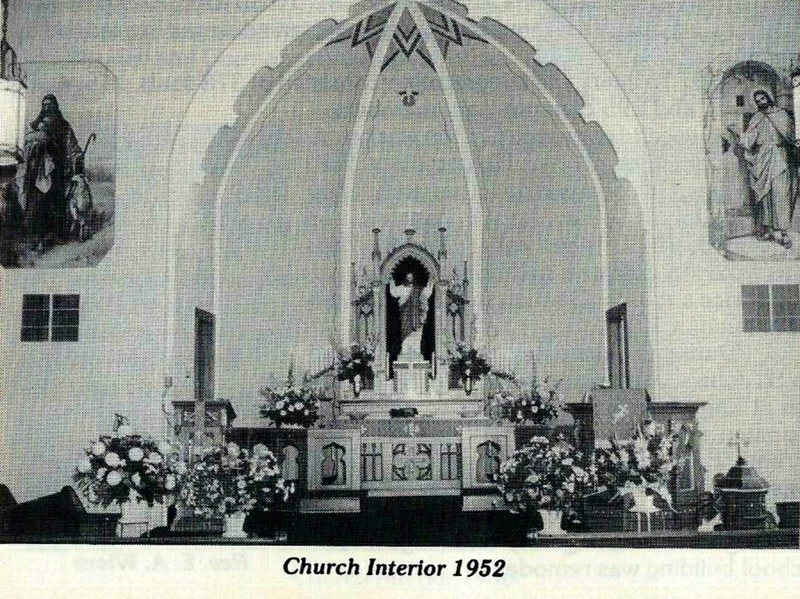 The 100 anniversary of St. John’s founding was celebrated, and in 1967, plans were made to build a new church. The cornerstone was laid October 1, 1967. Dedication of the fourth and present church to the service of the Lord took place April 21, 1968. The Rev. Gade, Forestville, served the congregation after Rev. Engelking accepted a call from the Phillips-Kennan congregation in January, 1969. The Rev. Ralph Danielson from Peru, Indiana, began his ministry in Rankin on September 15, 1969. During Rev. Danielson’s pastorate, the Board of Elders was increased from four to eight members. The bell tower erected using the bell from the old church, which was demolished. Easter sunrise services started.